Hard water was too much for this customer from Arden NC. They came by the store to drop off the water sample and Geneva showed them the varies models that we had in the showroom and in stock. 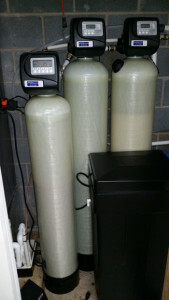 Long story short, they had the install last week with a Neutralizer, Water Softener, Iron Filter and they are very happy with the system they had now.